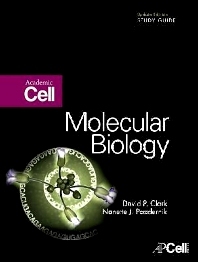 Molecular Biology: Academic Cell Update Edition Study Guide aims to help students get a better grasp of important concepts in Molecular Biology: Academic Cell Update. Each of the chapters in this study guide contains a summary that lets students see the bigger picture, that is, how all the techniques fit together in that chapter. A list of terms is presented in a concise format rather than spread throughout the textbook chapter to help the student remember these key terms in preparation for exams. Student can also assess their knowledge of these key terms using the Fill-in-the-Blank questions. The conceptual questions can be used for either class discussion or for independent student study. The answer key has a full explanation for the problem rather than a simple list of the answers. This study guide attempts to help the students to think about molecular biology concepts in a scientific manner, focusing each chapter on a recent research article demonstrating the concepts in the chapter. Early on in the study guide, only one or two figures of a research article are chosen so students can focus their learning on the concepts in the chapter and not on information that will be presented later in the book. In the middle of this study guide, the entire article is explained in a figure by figure basis. Then, as the student becomes more and more familiar with molecular biology techniques and the scientific method, the relevant research section contains fewer details. Trends in Microbiology (2008) Genomes and knowledge a questionable relationship? David P. Clark did his graduate work on bacterial antibiotic resistance to earn his Ph.D. from Bristol University, in the West of England. During this time, he visited the British Government's biological warfare facility at Porton Down and was privileged to walk inside the (disused) Black Death fermenter. He later crossed the Atlantic to work as a postdoctoral researcher at Yale University and then the University of Illinois. David Clark recently retired from teaching Molecular Biology and Bacterial Physiology at Southern Illinois University which he joined in 1981. His research into the Regulation of Alcohol Fermentation in E. coli was funded by the U.S. Department of Energy, from 1982 till 2007. From 1984-1991 he was also involved in a project to use genetically altered bacteria to remove contaminating sulfur from coal, jointly funded by the US Department of Energy and the Illinois Coal Development Board. In 1991 he received a Royal Society Guest Research Fellowship to work at Sheffield University, England while on sabbatical leave. He has supervised 11 master’s and 7 PhD students and published approximately 70 articles in scientific journals. He has written or co-authored several textbooks, starting with Molecular Biology Made Simple and Fun (with Lonnie Russell; (Cache River Press, First edition, 1997) which is now in its fourth edition. Other books are Molecular Biology and Biotechnology (both published by Elsevier) He recently wrote a popular science book, Germs, Genes, & Civilization: How Epidemics Shaped Who We Are Today (2010, Financial Times Press/Pearson). David is unmarried, but his life is supervised by two cats, Little George and Mr Ralph.